Direct mail marketing offers the opportunity to reach customers directly. From newsletters to event postcards, each needs to emphasize a lifestyle in their content and photography. Direct mail offers the ability to go beyond a website. Regardless of consumers’ online activity, the value of their mailbox cannot be diminished. People still enjoy looking at pictures and reading at their leisure. 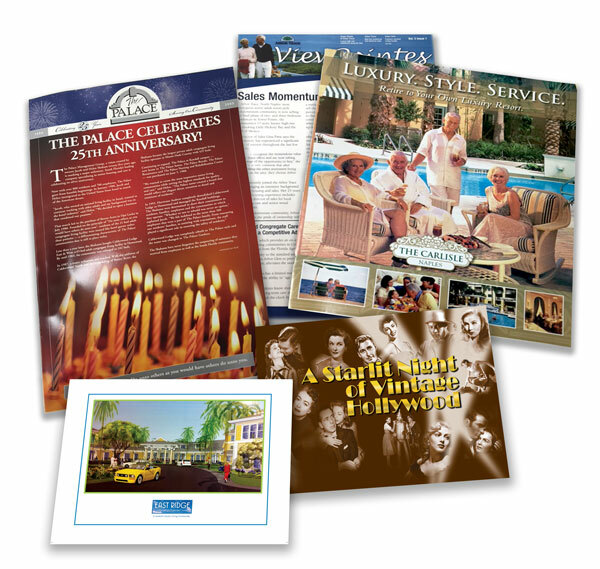 Newsletters make excellent handouts in lieu of brochures and have a longer shelf life. The Ehlers Group offers turnkey services from concept and design through mailing.